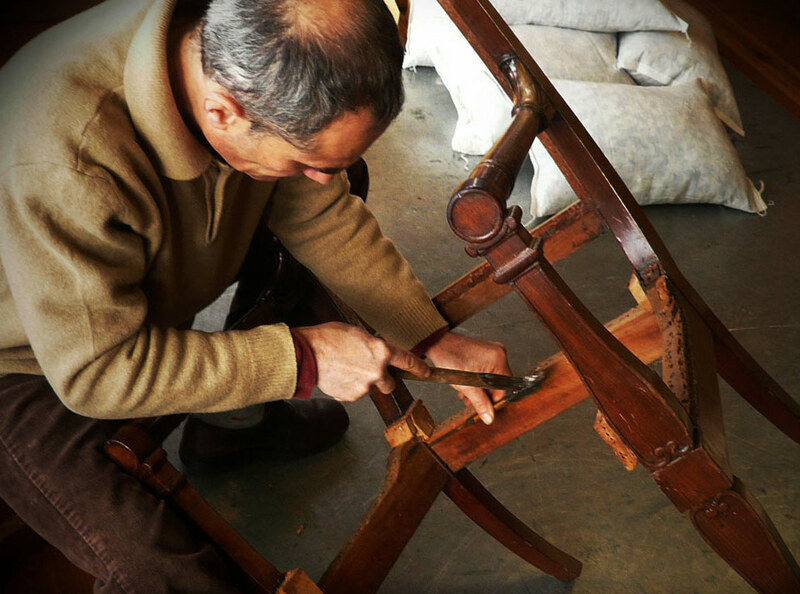 Do you dream of restoring an antique chair from the flea market, or have you inherited something interesting? 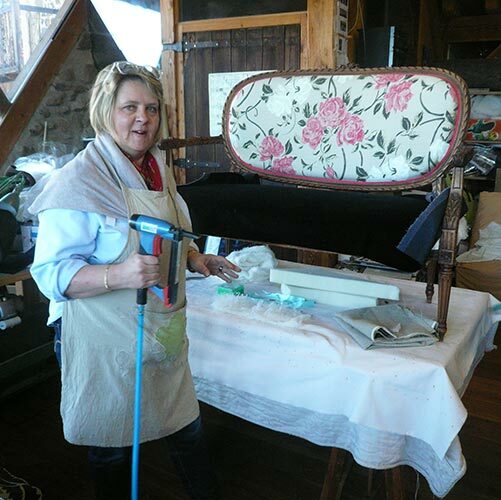 Are you interested in doing a tapestry, or a makeover or transforming your seats? 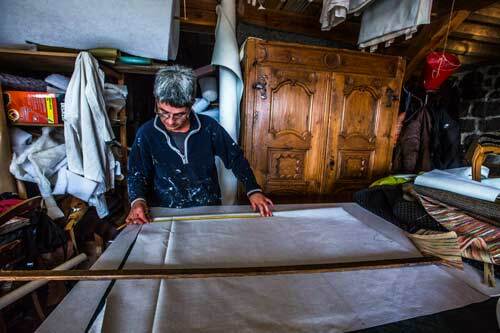 Philippe Pubellier - a true craftsman who has worked in Puy en Velay since 1985. 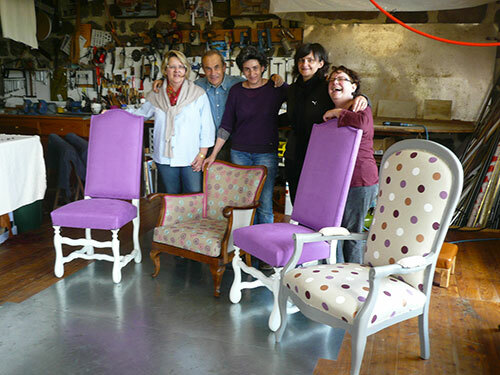 He offers profession training in upholstery, including decorative work. Philippe Pubellier is happy to show you his workshop and for trainees puts all the necessary equipment at their disposal in order to work in the best conditions. 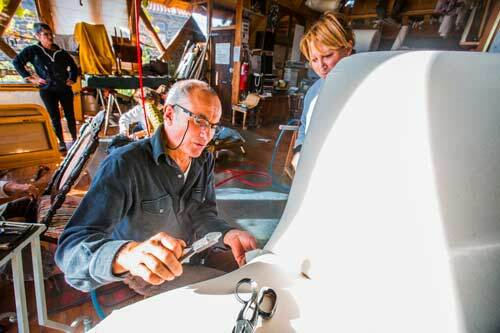 A 6-day upholsterer course is required for a introduction to traditional upholstery and seat cover techniques. 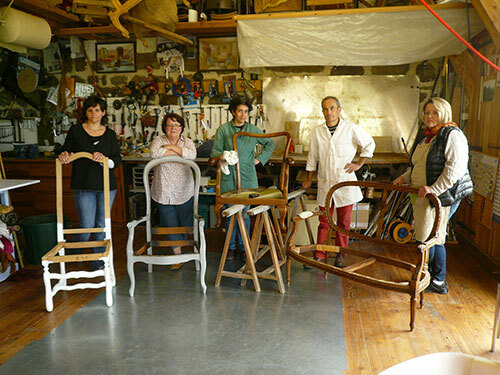 During this course, you will learn all the steps of the traditional manufacture of a style or contemporary seat, depending on the style of the seat frame you have chosen. 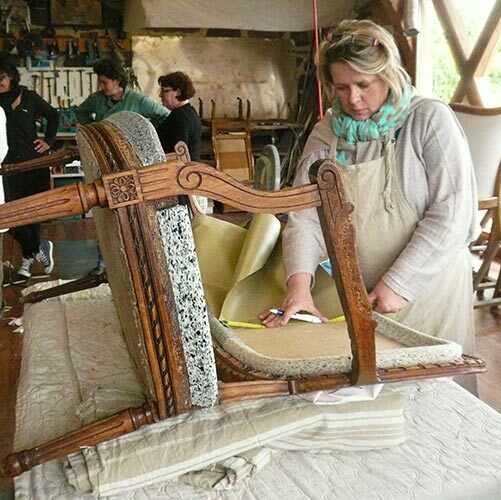 Goals of upholsterer stage: each trainee carries out a personal work from a seat carcass which will initiate him / her at the different stages of the upholstery and the cover of a seat. 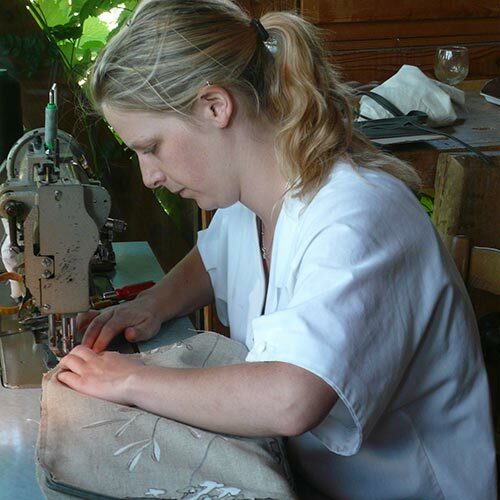 This upholsterer course around the traditional techniques will allow you to work in the pure tradition of the trade, with natural materials: horsehair, fabrics, ropes, hemp, cotton, burlap, cotton wool etc. Trainee profile: all novice and experienced persons in the context of their leisure activities or as part of a retraining or professional development. 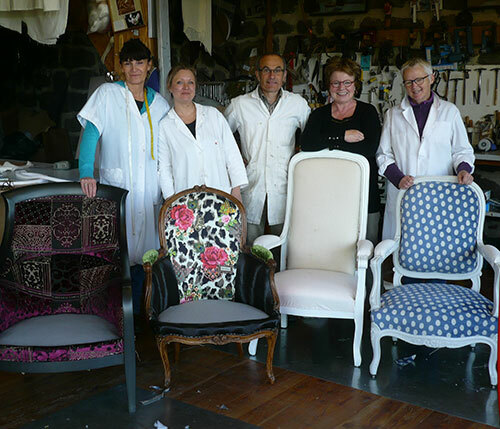 A 5-day upholsterer course is required for an introduction to contemporary upholstery techniques. 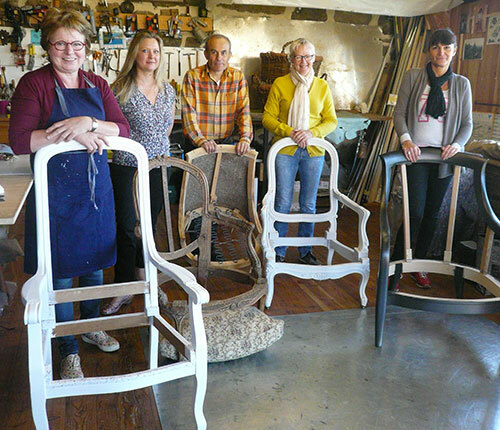 During this course, you will learn all the steps of the contemporary manufacture of a style or contemporary seat, depending on the style of the seat frame you have chosen. 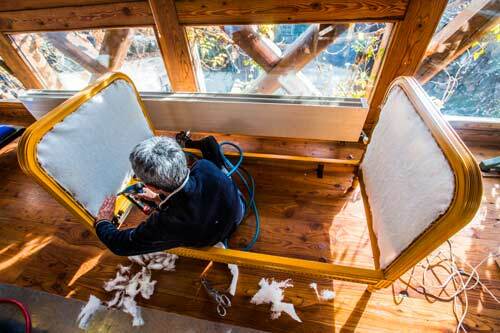 The so-called "contemporary" upholstery is a technique that consists in using industrial materials: foam, glue, interlining. 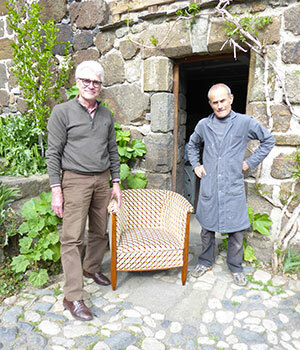 It makes possible to make an armchair more quickly and make forms more adapted to the design lines. 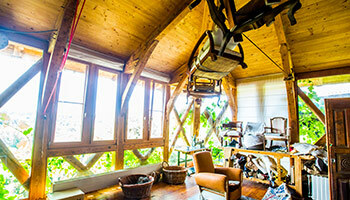 Workshops are for beginners and people who have some experience because the main goal is to have fun. 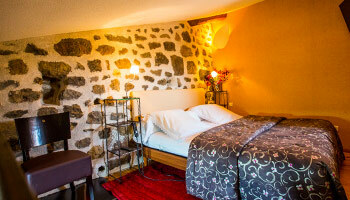 There is also an opportunity to learn the new profession as well. It is very appreciated by the designers who wish to create their own model and to acquire practical and technical notions in the creation. 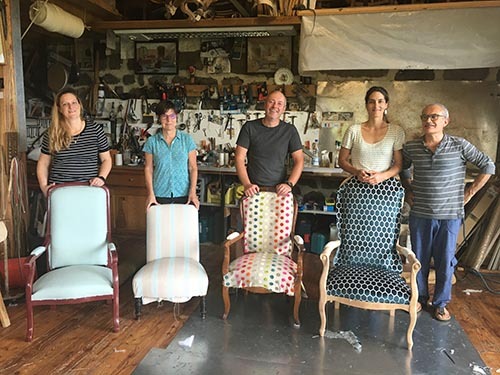 Upholsterer’s stage objectives: each trainee carries out from an armchair carcass, a personal work that will initiate the different stages of the upholstery and the cover of an armchair. 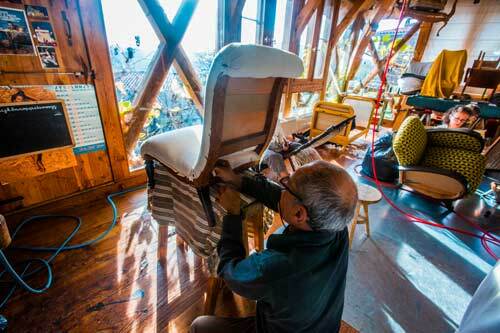 Who has never dreamed of renovating the old grandfather's chair? Nothing is impossible. 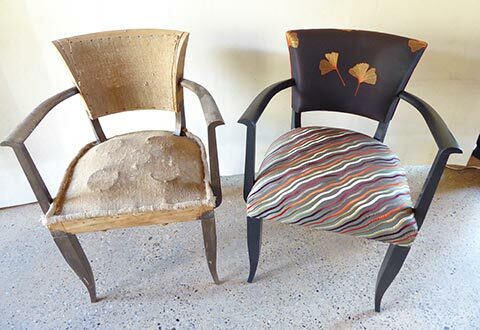 The upholsterer will teach you how to paste and revive the seat. 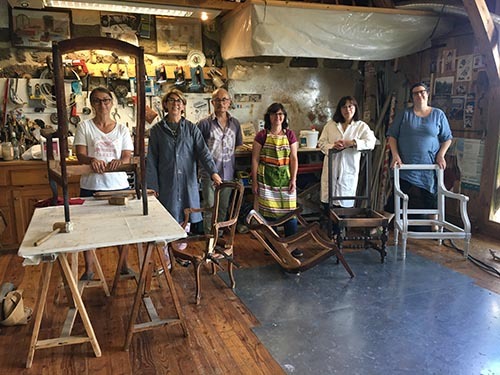 Bring your old armchair and train to disassembly, gluing parts, making wooden cleats or brackets, wood finishing: sanding, staining, varnish, wax or lacquer patina with the upholsterer during the courses. Trainee profile: all beginners and confirmed in the course of their free time or as a part of a continuing education or reconversion. 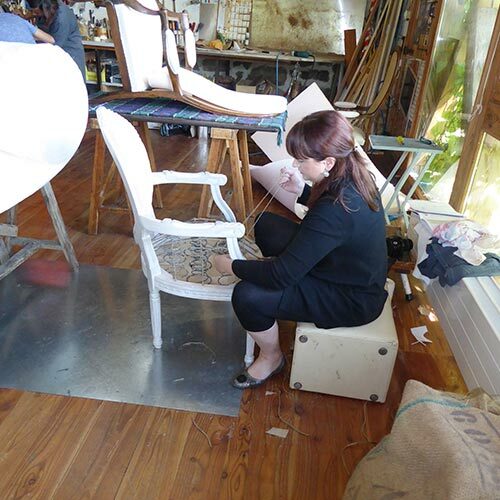 Upholsterer option shade is for learning how to make a lampshade regardless of its shape or size. 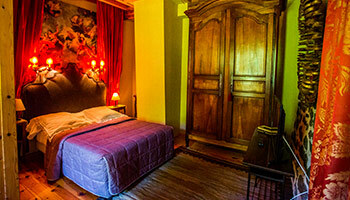 Tracing the development of the lampshade, laminated fabric or any other material and various finishes. From a carcass shade (max 35 cm), personal or made available during the course, to achieve the making of a lampshade in the tradition with invisible finishes. The price of the course includes the lunch. 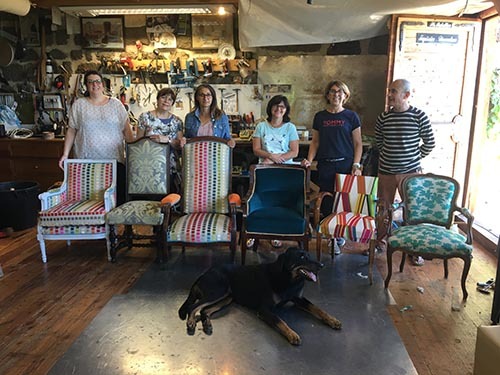 This advanced upholstering course should be considered only if the trainee has already acquired the techniques of upholstery and manufacturing during an introductory course. You go through all the steps of the traditional manufacturing of a stylish or contemporary seat depending on the style of the seat frame you have chosen. 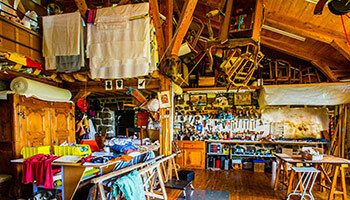 Advanced course in a traditional or contemporary packing techniques: 5 or 6 days. 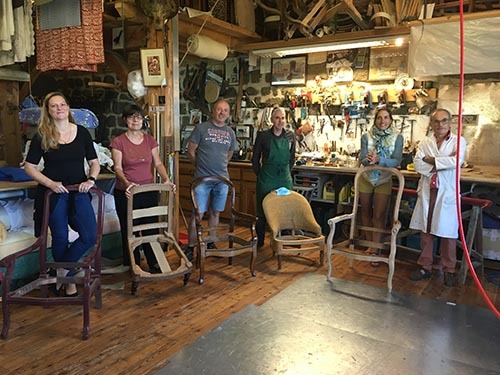 Trainee profile: all confirmed persons who have already taken an introductory course either in traditional technique or in contemporary technique as part of their leisure or as part of a professional reconversion or professionals wishing to improve.